Unedited History. 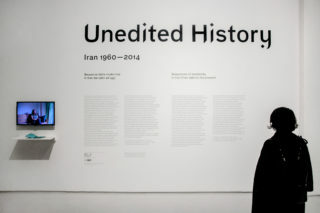 Iran 1960–2014, at MAXXI — Museo delle arti del XXI secolo from December 2014 to March 2015, is an exhibition with over 200 works, for the most part unseen in Italy, and more than 20 artists taking us through an exploration of Iran’s contemporary history from 1960 until today. 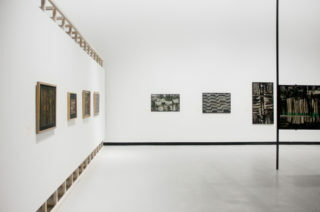 Exhibition curated by Catherine David (Centre Georges Pompidou), Odile Burluraux (Centre Georges Pompidou), Morad Montazami (Tate Modern), Narmine Sadeg, Vali Mahlouji for Archeology of the Final Decade section. 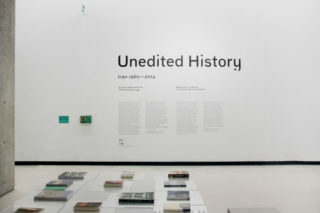 The title Unedited History refers to the process of film editing, to montage: the phase after a film has been shot but when the different sequences are still fragments, yet to be connected to create a coherent whole. 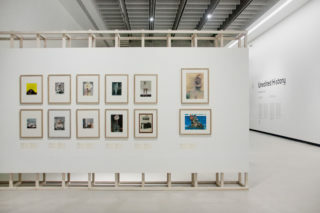 The exhibition’s three chronological sections are comprised of a wide variety of artworks — paintings, photographs, installations, graphic arts — and documents — archival material, journals, posters, videos — that help to reconstruct the social and political reality underlying the different manifestations of visual culture and modernism in Iran. 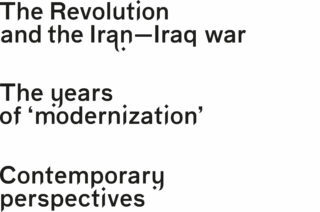 The exhibition is thus an attempt to recreate the important ‘sequences’ of events, ideas and changes produced by these manifestations over the past fifty years: the period of the Shah, the Revolution and the birth of the Islamic Republic, the war against Iraq and recent decades. 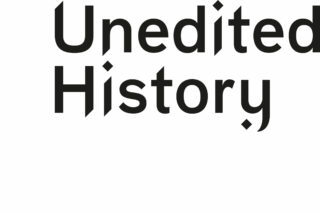 Unedited History, as Hou Hanru wrote, “is the first of a series of projects that the MAXXI curatorial team is developing to emphasize the dynamic exchanges between the Italian-European art scene and the Middle-East-Mediterranean art worlds”. 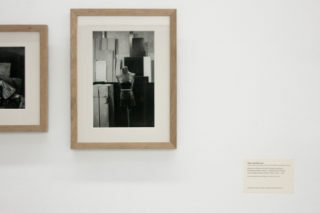 Our approach to design the identity of this exhibition was very light, for the sensitivity of the theme. In the research phase we studied the shapes of the Persian language and we focused on a letter, the Alef, which is the first letter of the Persian alphabet. 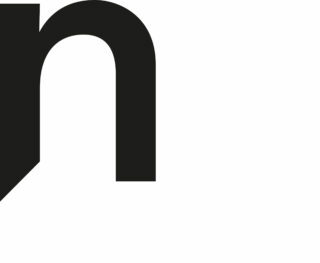 So we choose a grotesk typeface, with a simple, but at the same time strongly characterized design, and we decided to modify some of the glyphs. We worked on the shapes of the Latin letters to near the design of the Persian ones. This approach suggested to the visitors a sense of Persian words, but with European ones. 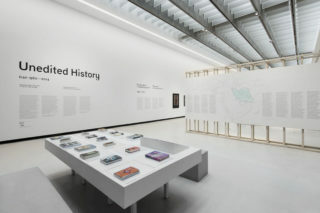 The Museum, during the exhibition’s process, asked us to design a map of Iran. 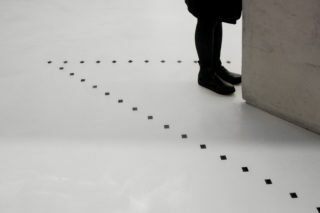 This was an opportunity for us, so we have proposed to use whole the first panel of the exhibition and we designed a map, which included a sort of timeline. 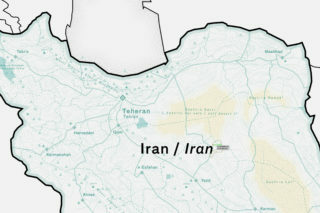 The design of the map was very detailed in the part related to the Iran Country and less on the other parts. 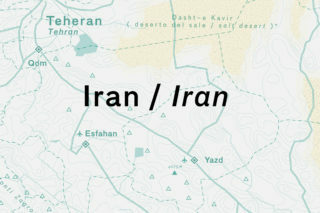 This because the map has been designed to have two main functions: the first was to know the exact geographical location of Iran and the second was to show the morphology of the territory of the Iran country. The map is focused about the relation between Iran and Europe, and it was because we called it Europe-centric map. 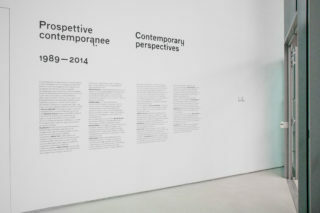 The exhibition was curated by Catherine David (Centre Georges Pompidou), Odile Burluraux (Centre Georges Pompidou), Morad Montazami (Tate Modern), Narmine Sadeg, Vali Mahlouji for Archeology of the Final Decade section.